We’ve just reached the end of a long series of sermons on Christian doctrine. It was in January 2006 that we began the ‘Truths for Today’ series. For more than three years we’ve been working systematically through the great truths of the Christian faith. It’s done me good. I’ve had to grapple with issues I wouldn’t have chosen to tackle. I’ve had to go back to the Bible and ask myself exactly what I believe and why. I hope it’s done you good too. 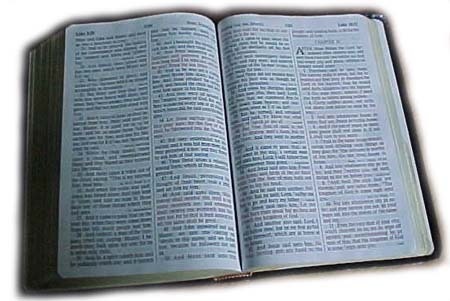 Why should Christians be familiar with the great doctrines of the Bible? Let me give you four reasons. The first is the simplest of all: Because we love God. And if you love someone, you want to know everything about them. If a young man meets a girl and falls in love, he’ll want to find out all sorts of things about her – what sort of family she’s from, which school she went to, what her hobbies are, whether she’s had other boyfriends, whether she prefers Indian or Chinese food… And if we love God, we’ll want to know all about him – about his nature, his character, his purposes, his commandments; about the work he’s doing in the world, about his work in saving people, about his plans for the future. In other words we’ll want to study ‘doctrine’. Go though the questions above and you’ll see that, in the end, they’re all about God. I’ve asked you what ‘justification’ means but what I’m really asking is, ‘how does God justify sinners?’ I’ve asked you what the Lord’s Supper is for, but what I’m really asking is ‘what does God do for us through the Lord’s Supper?’ All our doctrines are about God. Secondly: Because what you believe will shape your spiritual life. It’s obvious isn’t it? The way you think about God will affect the way you relate to God. If you don’t believe in the doctrine of the Trinity, you can’t believe that God is eternally love. It’s the doctrine of the Trinity that gives us confidence to believe that love is in the very nature of God. Again, if you believe that God is only in control when good things happen, you can’t trust him in the times when everything goes wrong. It’s the doctrine of God’s total sovereignty that enables us to say in the darkest hour, “I don’t know why this has happened but I know you planned it, and that you planned it for my good”. Or again, if you’ve never realised that God’s ultimate purpose is to glorify himself, every part of your relationship with him will be distorted. Instead of having him at the centre, you’ll go through life thinking that human happiness is the most important thing of all – and expecting him to think so too. I said above that studying doctrine is really just finding out the truth about God. And we need to do that so that we can relate to the God who’s really there, not the God we imagine him to be. Thirdly: because without it we won’t understand the world in which we live. Or to put it differently, we won’t know how to live in the world. Some of the questions we’ve covered may have seemed rather impractical to you. But it ain’t so. Not one of those questions is ‘academic’. They all have immediate, practical implications. A friend whose husband is suffering with a crippling and painful illness asks you whether you think euthanasia is wrong, and if so, why. Or somebody asks you why the Bible is against homosexuality. You’re not going to be able to answer those questions in any consistent way unless you understand the doctrine of Man as the image of God. It’s the fact that every human being is God’s image-bearer which gives every human life – however damaged – infinite value. It’s the fact that Man and Woman in their union are supposed to mirror the diversity in the Trinity, which makes homosexuality such an unnatural thing. You’re trying to sort out your children’s behaviour problems. How far are they to blame for the tendencies that they’ve inherited from you? When do you restrain a child? When do you punish him? When do you encourage him? The only way you’ll get clear answers to those questions is by taking seriously a whole string of Bible doctrines: the doctrine of God’s justice; the doctrine of the Fall and the effect of Adam’s sin on all his descendants; the doctrine of total depravity; the doctrine of common grace… No wonder that parents in our society are at sea when it comes to bringing up children! They don’t know what human nature is, they don’t know what justice is, they don’t know what authority they themselves have. But the doctrines of the Bible give you compass and chart through the storms. A thorough knowledge of Bible doctrine will give you the tools to sort out all the practical problems of living in this complex fallen world – even in matters where the Bible doesn’t speak directly. Fourthly: without it we won’t know what to say to the unsaved people we meet. Peter tells us that we must be ‘prepared to give to every man a reason for the hope that is within us’ (1 Peter 3:15) . We have to be competent to answer questions. So what do you say when someone asks how God can allow a tsunami to sweep away scores of thousands of people? How can you answer that question if you’ve never grappled with the doctrine of God’s sovereignty? How do you answer when your child says to you ‘I’ve tried to become a Christian but it didn’t work?’ You’ll need a very clear grasp then of just what saving faith is, and how it relates to the human will, and where assurance fits in. Your atheist friend sneers at the food laws of Leviticus and asks why God changed his mind; why he lets you eat prawns and pork. Are you going to be able to sum up clearly the function of the Old Testament law and how it’s fulfilled in Christ? It will take all eternity to explore God himself in the world where we’ll need no Bible. Keep growing, keep learning, keep thinking. Another quote from Peter: ‘Therefore dear friends, since you already know this, be on your guard so that you may not be carried away by the error of lawless men and fall from your secure position. But grow in the grace and knowledge of our Lord and Saviour Jesus Christ. To him be glory both now and for ever! Amen.’ (2 Peter 3:17-18). ‘Hold on to what you already know, and grow in knowledge!’ – that’s his advice. And what about those of you who struggled? Well I can’t blame you. Put it down to the preacher you’ve had to listen to each Sunday night. But don’t give up. Go back and listen to some of the sermons again. You may find that they make more sense second time through, when you’re at home and the children have gone to bed. You couldn’t take in all the passages I quoted? Well listening on your own you’ll be able to stop the recording to look them up, and make sure you’ve grasped what they’re saying. If questions come to your mind as you’re listening and you can’t find the answers, write them down and ask me. If I don’t know the answers, we’ll both have some work to do. There are lots of good books to help us. We’ve got the 1689 confession – what a wonderful guide to Christian doctrine! We’ve got the big books of systematic theology, written by giants like Dabney, Hodge, Berkhof or Dagg, and smaller handbooks like Bruce Milne’s Know the Truth or Berkhof’s Summary. 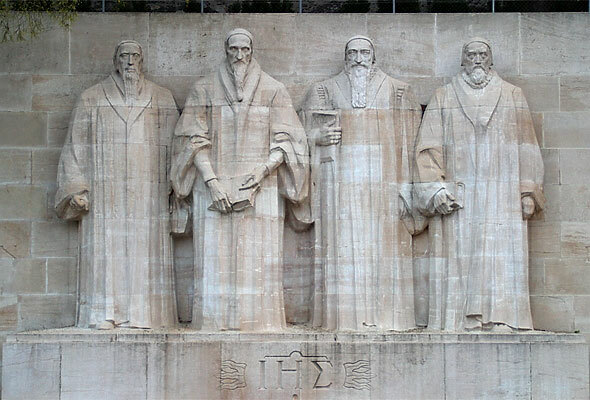 We’ve got masterful works on individual doctrines like Bavinck’s Doctrine of God or John Murray’s Redemption Accomplished and Applied. And we’ve got the Holy Spirit who leads us into all truth. We don’t expect him to reveal new truth to us now. But we do expect him to illuminate the truth that he’s already revealed in Scripture. Happy studying, one and all!